A moderate earthquake rattled Egypt early Friday morning and was felt as far as Israel, two days before a scheduled nationwide earthquake-preparedness drill here. The tremor, measuring a magnitude of 5.0 on the Richter scale, occurred at approximately 5:30 a.m. local time. It did not cause any injuries or damage, according to initial reports. The epicenter of the quake was approximately 95 miles (150 kilometers) north of the Egyptian coastal city of Alexandria. Approximately 30,000 moderate earthquakes take place every year throughout the world, according to seismology site UPSeis. 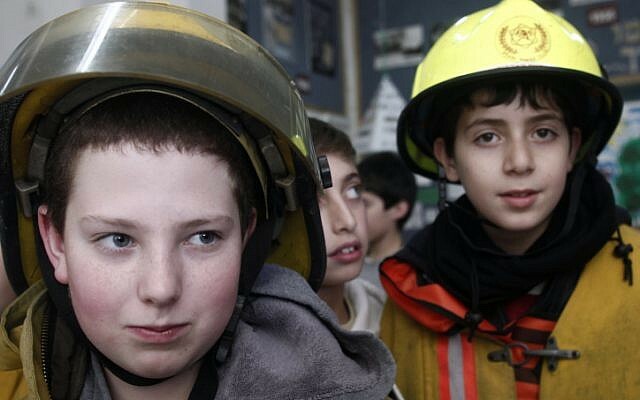 The timing of the quake could help remind Israelis to take seriously Sunday’s large-scale drill being organized by the Home Front Command. The exercise will include a scripted simulation of an earthquake and a tsunami, aimed at raising the preparedness of the citizens, local authorities and emergency services for dealing with natural disasters. According to the script, an earthquake of moderate magnitude (measuring 5.6 on the Richter scale) will be “felt” Sunday at 11 a.m. in southern Israel, near Eilat. Thirty minutes later, a stronger earthquake — 7.1 on the Richter scale — will hit the Upper Galilee. At noon, shortly following a tsunami warning, citizens will be required to imagine a giant wave crashing against the shores of Israel, causing heavy destruction in Tel Aviv. The drill will include television and radio broadcasts that will interrupt scheduled programming to admonish citizens to rush to open spaces wherever possible. Alternatives include finding sheltered rooms and standing under door frames. The drill will continue in the Hula Valley area, where a tremor measuring 4.2 on the Richter scale will be enacted at 7 p.m. Schoolchildren across the country will participate in enactments in their schools. According to Home Front estimations, a real-life occurrence of the above scenario would lead to 7,000 deaths, 8,600 people injured in serious condition, 37,000 injured lightly, 9,500 trapped under rubble and about 170,000 displaced and homeless. In addition, 28,000 buildings are expected to be heavily damaged, with hundreds of thousands of buildings expected to incur light damage. The prognosis is grimmer yet for the Dan region, where some 95,000 buildings — including 300 schools — could collapse in the event of an earthquake of a magnitude of 7 or higher on the Richter scale. According to the Home Front Command, 70 percent of buildings in the area — which houses about 42 percent of Israel’s population — do not meet the earthquake-resistance standards set in 1980, as they were constructed prior to that year.